Indian taste, but served in a continental avatar! 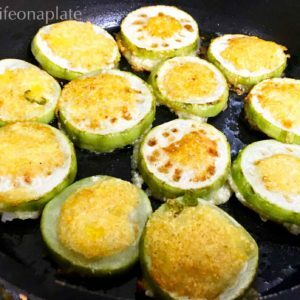 This recipe, Stuffed Potatoes in Tomato Sauce can be served topped with cheese too, but it takes away from the distinctive flavour of the Indian spices used, so I refrained from using cheese. 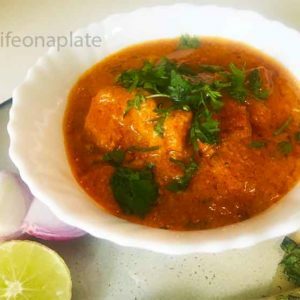 Served with hot laccha parantas, this tangy and spicy recipe was conceived quite by accident when I was debating over what to cook for lunch and just went with the flow…. You can substitute the potatoes with either capsicum, sweet potato or tomato too. Parboil the tomatoes. Take off the skin and roughly chop them. In a mixie, grind together the tomatoes, onions, ginger and garlic. Heat oil in a pan and add the puree mix. Put in the spices mentioned for the sauce. Bring to a boil and remove from heat. Your sauce is ready. Parboil the vegetables together...spinach, peas, carrots and peas. Drain off the excess water. Heat oil in a pan and add the semi-vegetables and all the spices. Cover and keep on medium heat. In the meantime, peel the skin off the potatoes. Cut the top half off the potato, scoop out the insides and make a hollow. Now add the scooped out portion of the potatoes into the vegetables. Mix well. Your stuffing is ready. Fill the hollowed out portion of the potatoes with the stuffing. Top with the ready sauce. Serve hot with lachha paranthas or rotis. I assembled the entire recipe in a microwave-safe dish so that I could heat it up just before serving to ensure that it was really hot.